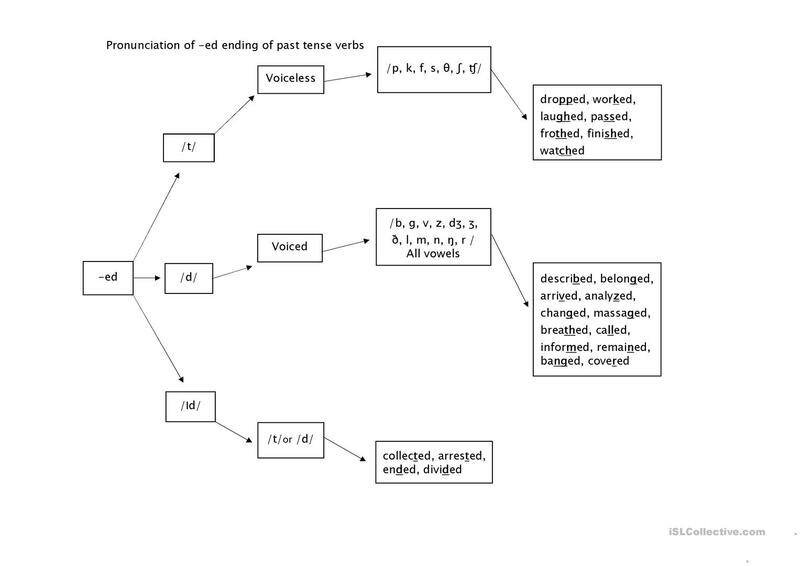 This sheet clearly explains how to pronounce the -ed past tense of regular verbs. 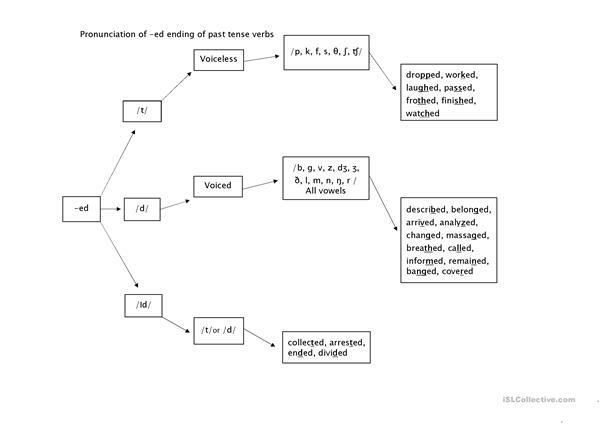 It explains the three different ways the past tense could be pronounced. It also provides examples so that it could be easier to undertand. This downloadable teaching material is best suited for high school students at Intermediate (B1) level. It can be used for strengthening your groups' Speaking skills. saprissa is from/lives in Costa Rica and has been a member of iSLCollective since 2012-05-06 20:08:21. saprissa last logged in on 2019-03-27 21:31:21, and has shared 2 resources on iSLCollective so far.